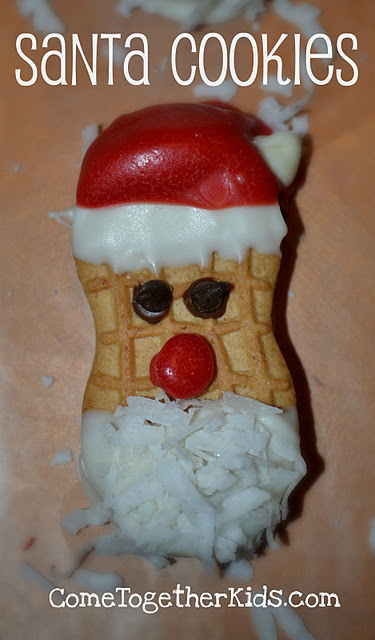 Looking for a cute and quick Christmas cookie? This one is perfect and you don’t have to cook! Come together Kids show you how to pull it all together. Since turning 50 I must carry reading glass with me at all times and my poor eyeglass case is coming apart at the seams. 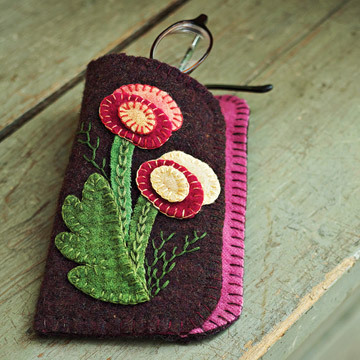 Better Homes and Gardens has pattern and instructions for a beautiful case made out of felt. Mod Podge. Very cute and you could easily adapt it to fit your decor. At Crafty Crow this morning there is a list of 20 gifts that kids can make. These are wonderful ideas and a wide range of suggestions. Take a look! Alisaburke used a foam pencil cup she found in the kids section of the craft store to make these wonderful bracelets. They turned out so beautiful. Or how about these made from old t-shirts from Make-Handmade! They would be a great teen project for Christmas gifts for friends. OK I am a kid at heart and still love the Muppets. Now that you have my confession maybe you are too. 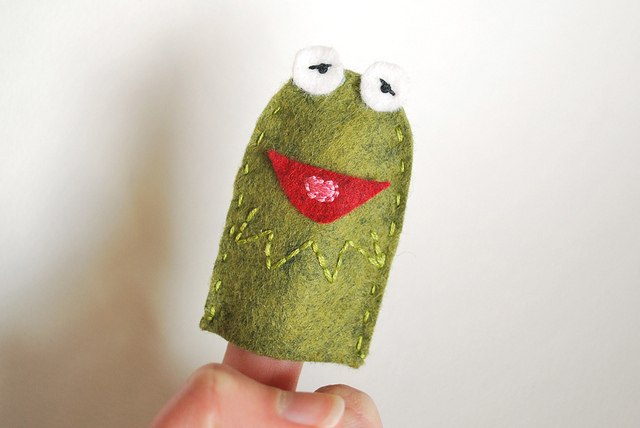 Here are some cute finger puppets from Wild Olive. Isn’t Kermit cute? 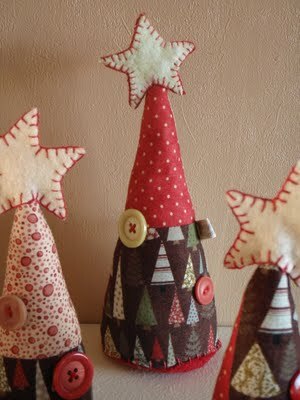 At LucyKate Crafts she has a tutorial for a Christmas tree softie. I think this is very cute. I like having something in my Christmas decorating that little hands can touch. That way they can enjoy the holidays too and I don’t have to worry about all the breakables. 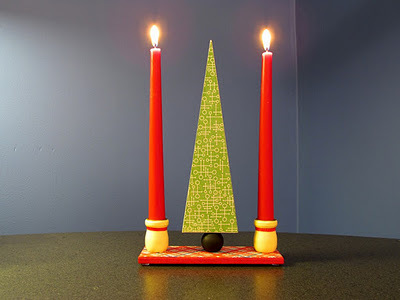 One hint I would add is if you want this to stand on a flat surface, after you fill most of the tree with stuffing you can add about a cup of lentils or rice to the bottom of the tree to help it stand upright.